I was in college, and my 15-inch Sony Vaio laptop was my prized possession. It was my first PC and probably the most important thing I brought with me to my dorm — it was both how I completed my assignments and my primary source of entertainment. How could it turn its back on me in my time of need? During my freshman year, I was working on a report for a group project due the next morning. About halfway into the research paper, I saw my battery percentage dip to 15 percent. I had only been using my laptop for about an hour and a half, so I was surprised as to how quickly it needed to be recharged. I frantically search my bag and to my dismay, I forgot my AC adapter. With no USB drive (and cloud storage not widely available back then), I was forced to complete my paper on my dying laptop. I started by dropping the brightness level down to barely visible and changing Windows' power levels to balanced. With these adjustments, I was able to eke out 20 more minutes before my laptop shut off from the low battery. I didn't get that paper on time, resulting in a C+ after the late submission penalty. At the end of the day, my laptop's crappy battery was my own fault. Out of the box, my laptop could hold a charge for about five hours — but in six months, that was reduced to less than two. Initially, I was hesitant to use it on the charger, but as the battery life continued to dwindle, it became necessary. While this drop surprised me, a quick search revealed this was common with lithium-ion batteries, and my options were to either buy a new battery or bear with it. I bought a new battery, which gave out just as fast. Unfortunately, this wasn't my only time with battery issues. While I did learn from the situation, I didn't learn everything, settling for obvious conclusions instead of digging deeper. At the time, I still believed shorter battery life was routine and not something that could be prevented. As such, I experienced the same sharp drop in battery life on each smartphone I ever owned until my current device. Over the years, I've heard so many conflicting reports of the best practices for charging a battery. 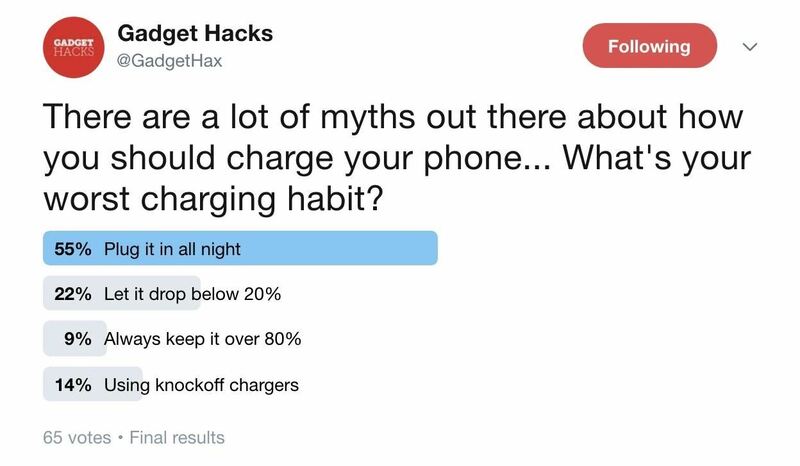 Things like overnight charging can be dangerous and avoid a full discharge were countered with reports stating there is no harm in charging past 100% and draining your phone to 0% is recommended, leading me to believe the research behind it all was simply inconclusive. In researching this article, I learned I'm not the only one who felt that way. 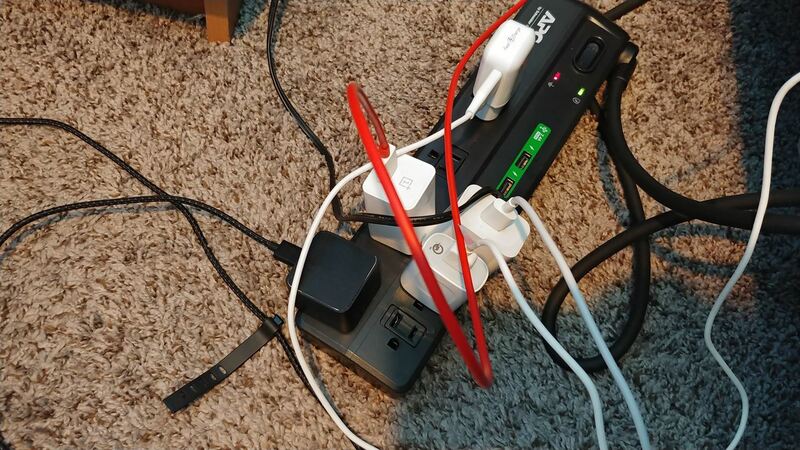 We asked readers on Twitter what their worst charging habit was and overnight charging led the way with 55% of the results. However, from talking to individual respondents, it appears many people were like me and confused about which charging habits are actually bad for your battery. But here's the thing — the research is conclusive. There's a right way and a wrong way to manage your battery. Especially now, proper management of our batteries is vital. Each year, OEMs are tasked with creating new, more powerful smartphones that also have amazing battery life. In previous years, phones would come with larger batteries relative to their screen size, but since consumers want thinner phones, the idea of a larger battery becomes more and more implausible. While chargers and batteries over the years have become smarter, the proliferation of fast charging leads to additional problems thanks to the extra heat they generate over slow chargers. As a result, it exacerbates many bad habits regarding poor battery mismanagement. And since swappable batteries are a thing of the past (thanks to consumers asking for water resistance), once your battery dies, replacing it is a lot harder and more expensive. Often with my laptop, I would watch videos and do homework late into the night, eking out what little battery I had left to accomplish whatever task I had. Afterward, I would plug it into the charger and go to sleep for the night to wake up to a full charge — but I never stopped to think about what happens to the battery overnight after it hits 100%. Even back then, without fast charging, it didn't take eight hours to fully charge a battery. But since a battery can only receive so much power, how does it remain fully charged without overcharging? Lithium-ion batteries consist of three main components: A cathode, an anode, and an electrolyte. Electrons (negative ions) move between the cathode (which is a positive electrode) and anode (which is a negative electrode) through the electrolyte during charging and discharging. Specifically for charging, electrons move from the cathode to the anode. During this process, the battery communicates with the charger about the highest (and safest) voltage level it can receive. This determines the beginning charging level. As described by Battery University, during what's known as Stage 1, the voltage rises until it hits this accepted amount. While increasing, the current begins flowing to the battery at its highest level for a constant rate. Until the voltage nears its limit, this rate of current doesn't decrease. 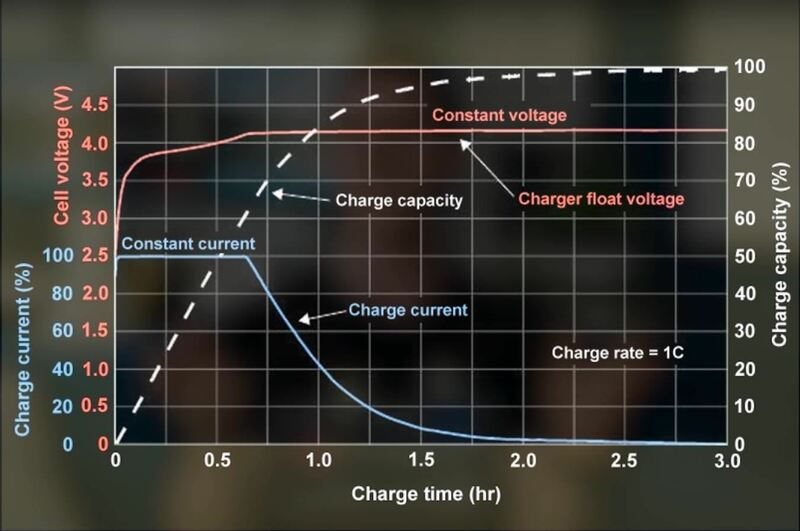 These parameters typically occur up to 50% charge, and this is the basic premise of how fast charging works. Stage 2 is when the voltage nears the limit and switches to saturation charge, a much slower rise in the voltage. This time, the current continues to flow to the battery at a decreasing rate. Stage 2 ends when the current is less than 3% of its original rate and the voltage is at its limit, which also indicates the battery is fully charged. At this time, the voltages decreases and charging stops. Whether fast charging or slow charging, lithium-ion batteries in devices like my laptop or your smartphone hit this stage well before eight hours. Since smartphones are always connected to the internet, they continue consuming battery when the screen is off, even while charging. To keep your phone at 100% while it's still attached to the wall outlet, your charger "tops off" the battery. When the battery level begins to dip, the charger will raise the voltage and allow current to flow to the battery at a decreasing rate. At full charge, the system ends the process of charging again and the voltage decreases. It is due to this "topping off" feature that overnight charging isn't recommended. As you may have noticed, when you use your phone while charging, it becomes quite hot. The same occurs while topping off overnight. Heat is lithium-ion batteries' kryptonite — it stresses the battery, causing it to reduce the maximum amount of energy it can store (known as its battery capacity) and compromises its integrity, which can lead to exploding devices. The impact of heat on the battery is alarmingly high. Battery University demonstrated this by holding batteries at the same percentage for one year, stored at various temperatures. After a year, the reduction in capacity was measured. At 77°F (25°C), the battery capacity reduced by 20%, meaning the maximum amount of energy the battery could store was now 80% of its original capacity. Another set of batteries were stored at 104°F (40°C) — these saw a reduction of 35%. For perspective, the operating temperature during fast charging can get as high as 113°F. Additionally, batteries experience stress while maintaining a 100% charge. In the same test previously mentioned, another group of batteries was held at similar temperatures, but at a 40% charge. 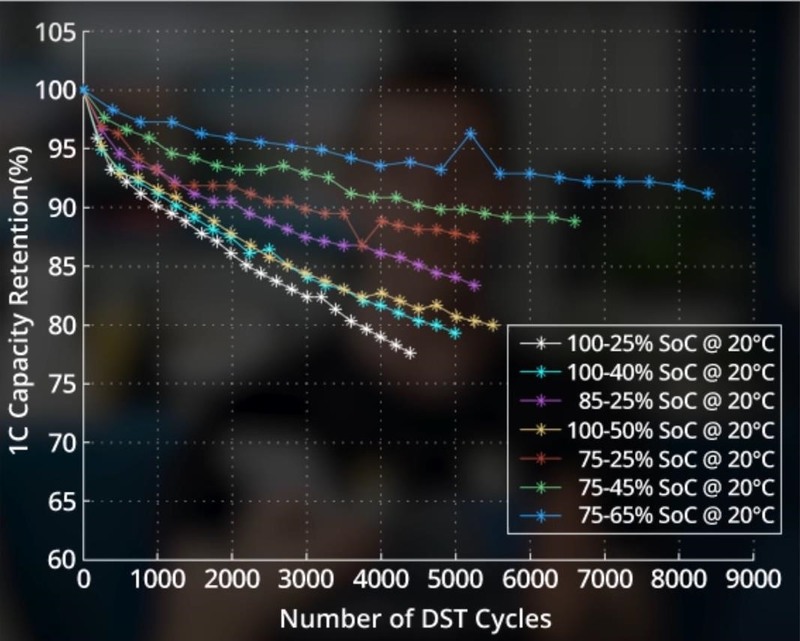 Under the same parameters, 77°F reduced the battery capacity by 4%, compared to a charge reduction of 20% when the test was performed at 100% charge. This pattern held true for other temperature ranges, demonstrating that the act of maintaining a charge overnight at any temperature can degrade battery capacity. While we're on the subject of heat, I'd like to touch on wireless charging. Standards such as Qi or PMA allow you to charge your phone on a mat without plugging it in, but the process of wireless charging in general isn't as energy efficient as wired charging. Loss of energy translates to heat, which has the same effect that the "topping off" feature has during overnight charging. Therefore, it's best to avoid wireless charging if you can, but at the very least, don't keep your phone on the charging pad long after it hits 100 percent. While many of us will charge our phones before they dip below 15%, there are times when we need to push our device a little more. I remember a few times in college where I took my laptop out of my dorm without the charger and was forced to push it to zero to finish some homework. What I didn't know was that this was hurting my battery life. In 2013, there were a few articles citing that lithium-ion batteries had something known as a "memory effect." This was said to stem from users performing partial charges (charging your battery from a starting point other than 0%). The battery purportedly "remembers" the shortened cycle and reduces the capacity based on this amount. To restore your capacity, you'd need to fully discharge your battery (go from 100% to 0%) so that your battery would remember its full capacity. As it turns out, this isn't true — you certainly don't need to drain your phone's battery. "Memory effect" affects nickel-cadmium batteries, a different type of battery that is found in older laptops. Lithium-ion doesn't benefit from the practice of fully discharging the battery but rather is hindered because of this action. Each time you discharge a battery completely, you increase the chance of mechanical degradation of the cathode. If this occurs, its ability to store energy becomes compromised and results in much lower battery life for your device. Additionally, when you drain the battery to zero, you're also increasing the depth of discharge. The depth of discharge is the difference between the starting battery percentage and ending battery percentage, which determines the number of discharge cycles your battery has. Each battery has a finite number of discharge cycles — after that number, the battery will no longer accept a charge. While there is a standard definition, a cycle is understood as a full discharge of a charged battery followed by a recharge. On average, a lithium-ion battery has around 300–600 cycles. However, you can extend this number by using smaller depth of discharge. For example, if you only discharge to 40% (charging it back to 100% when it reaches that point), you would increase your cycles to between 600–1,500. Another bad habit that about 14% of our readers admitted to was using knockoff chargers. Back when I had my Sony Vaio, I bought a knockoff charger to replace the broken OEM charger. With OEM chargers costing much more than a knockoff, it was hard to justify buying first-party. Plus, I thought all chargers were the same. Oh, how wrong I was. In the process of researching this topic, I learned about how sophisticated OEM chargers can be. Especially after the Samsung Galaxy Note 7 debacle, many smartphone manufacturers went out of their way to ensure the same failure wouldn't occur with their devices. All devices that use lithium-ion batteries have to meet a specific set of mandatory protections. At the heart of this is the protection circuit. The International Electrotechnical Commission (an international organization that publishes standards for all electronics and related technologies) requires that these protection circuits include several safeguards to protect against common issues that may plague a battery. However, because the liability of a failed battery falls on the manufacturer, many companies include redundant systems to back up the mandatory systems already in place. These systems are heavily reliant on the communication between all parts involved with charging. Through this communication, the system can detect and stop over-current, over-voltage, and overheating at any point of failure. But, when you use a knockoff charger, you lose this communication and coordination with the phone. Since failure can occur at the charger, you hinder the system's ability to detect and thwart it. Instead, the system is forced to rely solely on mandatory protection without any backup. With fast charging, communication is even more important between the phone and the charger. Voltage and current need to be set and regulated throughout charging. OEMs design their devices to work best with their equipment and test the safety using their chargers. Therefore, using knockoff chargers raises your risk level of a failure occurring. With this lack of communication, overcharging can occur. When that occurs, the best case scenario is that your battery capacity decreases. Often, this is how phones catch fire, as high heat from overcharging can result in the battery combusting and the phone catching fire. So now that you are aware of why these habits are bad and how they affect your battery, what is the right way to charge your device? How can you reduce the stress on your battery, keep it safe, and keep it performing well over the years? Well, we have four recommendations for you and two for OEMs. The first thing is to take advantage of fast charging, which can be found on smartphones at every price range. 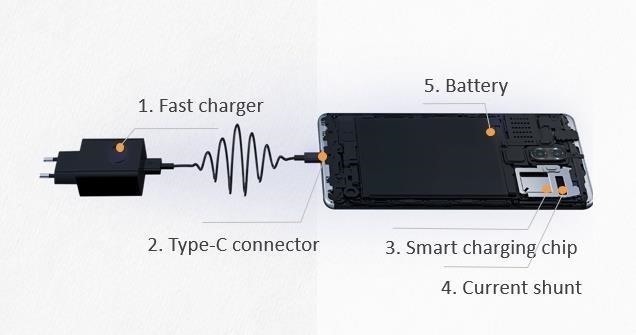 While fast charging does add stress to the battery because of increased heat, until OEMs add the ability to turn off this feature, it's the only way many of us can charge our phones. Therefore, use its benefits to combat battery stress by reducing total charging times. When you wake up in the morning, plug your phone in. Most of us have at least 30 minutes to spare while getting ready, and by that time, fast charging should have your battery up to at least 50 percent. Depending on the battery percentage when you began charging, 30 minutes could give you an all-day charge. The second thing is to preserve your depth of discharge by hovering around the sweet zone: 25–85% battery level. At this range, you receive the best balance of depth of discharge and runtime. If you stay in this zone, you can maximize your battery use and retain that healthy battery life for a much longer time. The third thing is to keep your phone in a cool area while charging. This doesn't mean to place your phone in the freezer or the fridge (batteries won't charge at extremely low temperatures anyway), but to avoid direct sunlight and excessive heat when it is charging. Look for flat, cool metal surfaces, as they will draw the most heat away from the phone and offer the best airflow. The final recommendation I have for you is to avoid third-party chargers at all costs — not just the charging brick, but the cable as well. If you need a replacement charger, only buy one from your phone's manufacturer — preferably one designed for your specific model of smartphone. While researching for this article, I came across a fantastic website called Battery University. I was able to interview Isidor Buchmann, CEO of Cadex Electronics, the company behind Battery University. Much of the information I've explained here was first explained to me by Mr. Buchmann — I honestly can't thank him enough. As an expert on all things batteries, Mr. Buchmann has a recommendation he'd like to share with smartphone manufacturers. He proposed that OEMs should include an option to disable fast charging manually — and while I recommend using fast charging to avoid bad habits, there's a good reason for this. The heat generated by fast charging causes stress to the battery. While most of us wouldn't want to return to a non-fast charging world, by providing users the ability to disable this feature, they could at least continue their bad habits at lower stress levels to their batteries. Especially for the stubborn folks who can't break their overnight charging habit, this would make the process much safer. A second recommendation is based on an article on their website discussing the differences between electric vehicles and smartphones batteries. Both use lithium-ion batteries but optimize them for a different purpose. Electric vehicles aim for longevity, while smartphones prioritize runtime. Electric vehicles achieve this longevity by actually tricking the user. They redefine what a full charge and a discharge are to prevent full cycles. Instead of 100% capacity, electric vehicles charge only to 80% and deplete to only 30 percent. This way, every electric vehicle lives its entire life in the sweet zone, and when the battery capacity begins to reduce, the system slowly increases the depth of discharge to maintain the same battery life while preserving the battery. I propose a similar option for smartphones. While it would require users to opt in, you could set the parameters you wish to charge and discharge to so that after the initial setup, you would never have to worry about maintaining the sweet zone. Instead, the phone would do it for you. But if you wanted maximum runtime, or in an emergency, you could switch off the feature for full access. If I had known back in college what I know now, I would have aced that assignment. My Sony Vaio's battery would have still been capable of holding a charge if I had just taken the time to implement these best practices for charging. Of course, it's too late for that, but it's not too late for your smartphone. 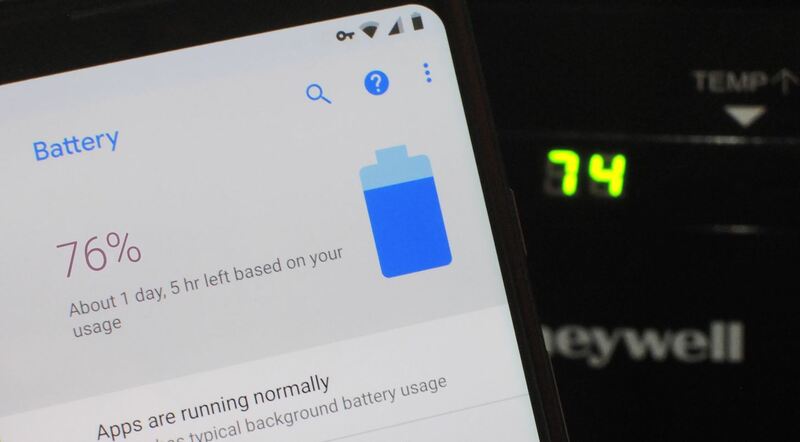 If you don't learn anything else from this article, at least remember this: Take your phone off the charger as much as you can, keep it cool while it's charging, always use a first-party charger, and try to keep your battery in the 25–85% sweet zone. So, it used to be easy with older laptops. Charge the battery, remove it, use the device. However, what about the phone? If we use it for longer than the battery lasts, what are we supposed to do? If you happen to drain your battery, avoid charging it back to 100%. Instead, stop at 80% to maximize the number of cycles. Jon, Right On! I was so ready to read a few lines and say, Here's another dud Li-Ion guide to toss in recycle bin". Boy was I wrong. Well written, excellent graphics, my favorite reference on the internet for all things rechargeable BatteryUniversity.com of course. You nailed it. You got me to sign-up just to write this note to you and bookmark your GH website for future reference. I've been writing on Quora for a little over a year now and have learned a lot and enjoy the interaction with helping people. I've been a tech head for 30+ years and am still learning daily with the new stuff coming out daily, that you and your team seem to have a pretty good handle on. Signed up and will stop on by often. Thank you for spreading the RIGHT information in a sea of misinformation it seems. Thank you for your comment and I'm glad you enjoy the article. Your comment made all the effort that went into crafting this article worthwhile. How much current (= heat) does a fully charged a phone actually pull through (rather than from?) the battery overnight for background internet access? Hard to believe it'd be enough to noticeably impact battery life. A bit more than 3% of its starting current. The voltage stress is also a factor as the voltage must increase temporarily to apply the charge. The combination of the heat and voltage stress over a period of time will reduce its capacity.